Nootropics are a group of products that seem to improve the function of the brain. The drugs classified in this group are usually used in the treatment of legitimate illnesses and diseases and are now seemingly being abused by those wanting to improve their brain power. 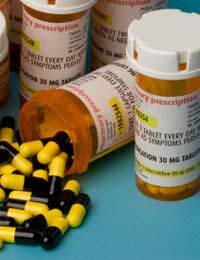 These drugs are being bought over the internet or from illegally gained or abused prescriptions and have not been officially tested for safety in the unaffected brain, though up to now they don’t appear harmful, but it is not known whether they have any beneficial effect on a brain that is not impaired in any way, and those taking them may be putting themselves at great risk with no apparent advantages at all.Other products that are marketed as nootropics are often substances derived from plant or animal matter and these can available in health food shops, in some supermarkets and on the internet. They are often referred to as ‘smart drugs’ and are thought to work by increasing the availability of certain chemicals in the brain and nerve pathways, therefore improving the brain’s power. The drugs are often aimed at replenishing depleted or damaged supplies of neurotransmitters, cholinergics, dopaminergics and seratonergics.Neurotransmitters are chemicals responsible for the transfer of messages between nerve cells. In some illnesses these chemicals can deplete causing many different effects, drugs that help to replace these chemicals are being abused by people without any medical condition in the hope that they might improve their abilities and keep them awake ands alert longer.Cholinergics are chemicals concerned with the neurotransmitter responsible for memory, concentration and complicated thought processes. Dopaminergics affect the chemical dopamine which is the neurotransmitter responsible for behaviour and cognition; seratonergics affect the neurotransmitter called serotonin which in turn affects mood, sleep and temperature. If they are taken as advised they can be extremely beneficial to the person they are prescribed for and cause no long term damage to the central nervous system, but tests have only been carried out on people with the illness that they are designed to treat.As so many people are now turning to nootropics to help them succeed in today’s highly competitive and fast paced environment, pharmaceutical companies may be forced to carry out studies aimed at discovering the effects of these drugs on the healthy brain and even develop safe alternatives. Many physicians will not recommend the use of these drugs to people with no brain impairment as the safety of their usage has not been officially tested, but some physicians in the private sector are now promoting the products as safe as no known negative effects have been found. Consideration also has to be given to the diagnosis of brain function impairment if the individual is a regular user of nootropics as they may not realise they have developed symptoms and an illness may go unrecognised for a number of years which can have very negative side-effects. The laws surrounding these substances seem to be somewhat of a grey area. Obviously, taking someone else’s prescription or obtaining drugs through illegally obtained prescription is against the law, but at the moment as testing for the presence of these drugs in the body is not a requirement, it remains more of an ethical ands moral dilemma than a legal one.Individuals can purchase these drugs from the internet, but they must be aware that there is no guarantee that they are definitely safe to use in a healthy person, or that the actual drug advertised is being received as they may not have been passed legally or ethically for safe use. Nootropics are a group of substances that can have a very beneficial effect of those it has been prescribed for and who have a legitimate impairment of the brain’s function. They are also used to aid those looking to boost their brain power in the absence of an illness or disease. Intresting article for a quick reference. I am a pharmacist and came across this class of drugs which also includes cinnarazine. I was intrested to see other drugs besides modafinil in this group. Can you name some readily?